Fits 2" or wider flat surface. 1/4" dia. mounting holes. Drill 3/16" dia. holes in boat when using screws. Use 1/4" dia. 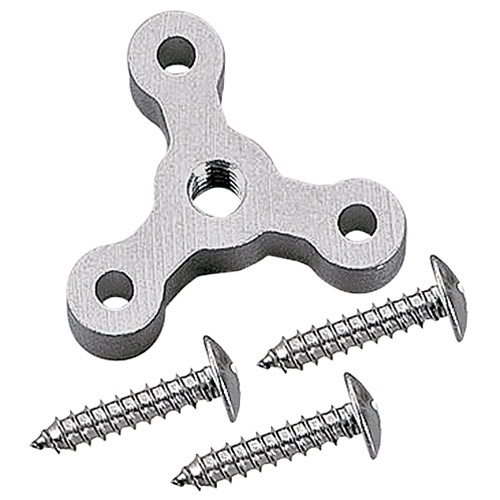 screws.